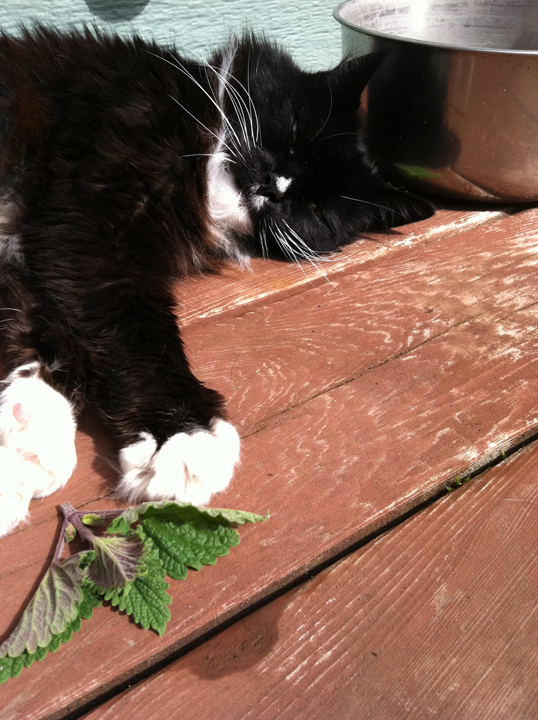 Freeway enjoys a Catnip-induced nap. When something doesn’t seem right with our pet, most of us contact the vet. An exam, maybe blood work and some diagnostics and your animal might be on the path to healing. But what about when that doesn’t work? Or if your pet becomes resistant to traditional drug therapies? Then there are simply those who prefer alternative therapies. 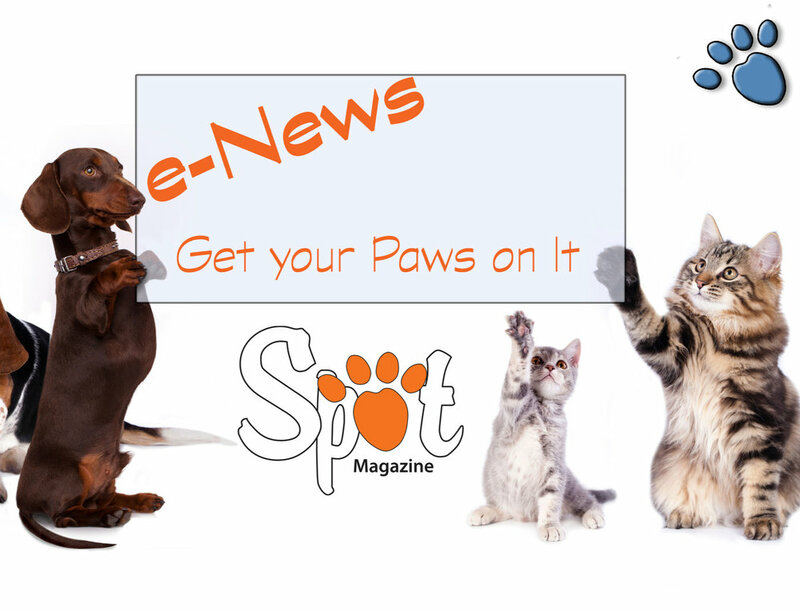 An increasing number of pet lovers are looking to alternative treatment options . . . and they’re finding that sometimes they’re just what the doctor ordered. Still, for many, health modalities other than tradition Western practice remain a mystery. Today we’re going to explore the matter. The American Herbalists Guild says, “Herbal medicine is the art and science of using herbs for promoting health and preventing and treating illness.” The Guild goes on to point out that herbs have been used this way for more than 5000 years. Spot spoke with herbalist Sonja Boynton of Bluebird Herbals, who began applying herbs when her own dog was going into liver failure. Traditional measures ceased to be effective, so she turned to plants. The decision gave her beloved pet an additional two and a half healthy years. Boynton says the ideal is in joining traditional veterinary knowledge with the use of an herbalist to get the best of both worlds. Each has their areas of expertise, which can complement each other in health and healing. Your herbalist, for example, doesn’t typically perform surgery, but with a background in botany, does know plants and their effect on the body. Boynton says she’s the “first one to run to the vet” if she needs additional help or if herbs aren’t getting expected results. So what kinds of problems are commonly treated by herbs? Sometimes pets overeat or get into things they shouldn’t, causing tummy upset. Next time this happens, try Slippery Elm powder. Mix a little into a few tablespoons of water until it forms a slurry and feed it to your pet disguised in something tasty like yogurt, canned food, or a smidge of honey. Another way to get herbs into your pet are tinctures. These are often alcohol- or glycerin-based herbal extractions in liquid form. Tinctures are generally fairly potent, so just a few drops in your pet’s food will often do the trick. You’ll notice little was mentioned about dosage. Boynton’s teacher, and modern herbal pioneer, Rosemary Gladstar refers to the safety of herbs as describing where they fall on the 'herbal clothesline,' generally into three categories. On the left of the line, you have herbs like Slippery Elm and Calendula that can be given in any dose with no side effects. Herbs “in the middle,” that should be used either with a good deal of knowledge or under the guidance of an herbalist include Goldenseal and Black Cohosh. Those “on the far right,” which can cause damage if taken too often or at the wrong dose, are best used only under the close guidance of an herbalist such as Wormwood, Rue, and Black Walnut. Catnip, while sending most kitties into blissful frenzy, is actually a nervous system tonic and is wonderful for the eyes, coat, and skin. Alfalfa is good for kidneys, digestion, and arthritis. Chickweed is helpful for tumors, and fennel works well for colic and flatulence in cats. These are all examples of proactive treatments, of which Boynton concocts many. 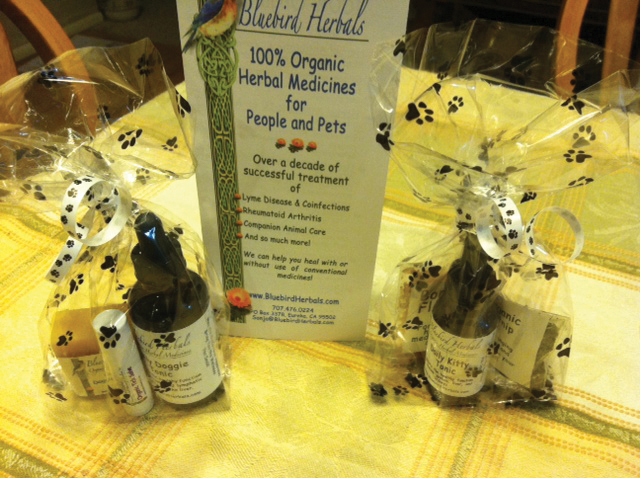 Offering a variety of tinctures, Bluebird Herbals is the maker of Daily Doggie Tonic and a Daily Kitty Tonic, which work to strengthen and support the immune system, liver and kidneys. 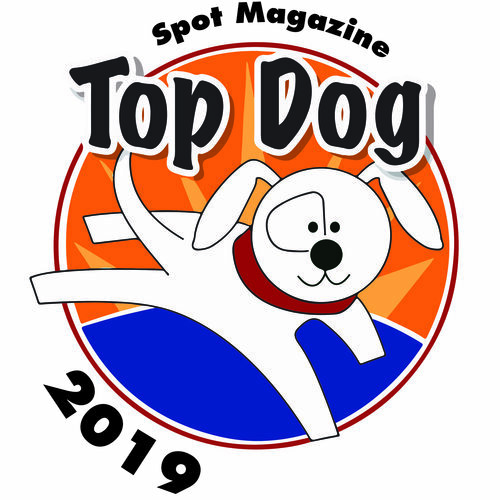 Both tonics were recently made available in Spot’s Goodie Bags at local pet events. Boynton says certain herbs are useful in focusing on particular organs as part of a treatment plan, such as the liver. “The liver is a hardy, robust organ,” she says. “It takes a lot of abuse before problems may arise.” When concerns do arise, they can often be attributed to this one organ simply because it’s responsible for such a big job — handling toxin and waste removal. Interestingly, allergies are one ‘concern’ that can arise from a liver that is out of balance. “If the liver is overwhelmed, it pushes toxins out wherever it can and often it is through the skin,” Boynton explains. “If a pet presents with allergy symptoms such as inflamed skin, smelly, itchy ears; or is scratchy, treat the liver and see if it resolves.” Some treatments work fast with herbs, others slow. The liver takes a long time to get out of balance and so it takes a long time to restore it to balance. 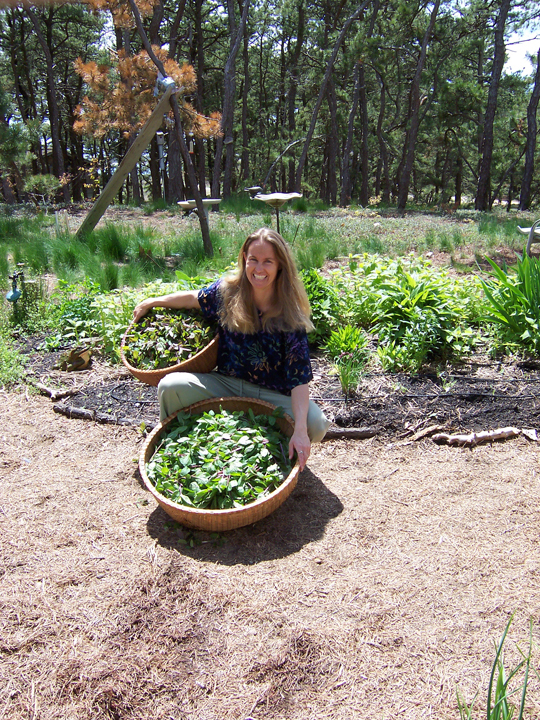 Taking liver toning herbs 2-3x/day for 8-12 months is what I recommend to resolve allergies. Herbs can be effective in treating both acute and chronic problems. They rarely cause side effects and very few interactions with common medications. What’s good for the goose is good for the gander . . . and the dog, the cat, and even the family bird or reptile. Boynton encourages pet owners to learn about plants or work with an herbalist to add them into their pets’ diets, noting that herbal treatments work best with a well-fed body. High-quality diets help fuel the body with what it needs for healing. If you’re intrigued, here are a couple of ways Boynton suggests getting started. She recommends the book Herbs for Pets by Mary L. Wulff-Tilford and Gregory L. Tilford, which includes comprehensive instructions, step-by-steps, historical facts about herb use, and examples for practical application. The Complete Herbal Handbook for the Dog and Cat by groundbreaking critter herbalist Juliette deBairacli Levy is a bit more advanced, Boynton says, but great for anyone who wants to jump in wholeheartedly. Rosemary Gladstar has a wonderful website packed with information at SageMountain.com. Once you’re educated and ready to start using plants and herbs in your pet’s health plan, Boynton says, “Yay! Good for you!” She also issues this caution: Herbs, particularly those in powder form, have a shelf life and can spoil. You can grow your own, or purchase from experienced herb distributors such as Mountain Rose Herbs or Zack Woods Herb Farm. Such online retailers offer plentiful stock via convenient online shopping. The important thing, says Boynton: do your homework and make sure you’re getting high quality. Boynton also suggests always going organic for the best results. While no single health alternative takes the place of traditional veterinary medicine, many swear by the health and healing power of herbs. And the best solution just might be a combination of traditional and alternative. Of course, in an emergency, always consult with your vet. Think your cat won’t take to herbs? Watch Sonja serving up Daily Kitty Tonic to a sweet, finicky old girl named Freeway in this video. Posted in Health/Wellness and tagged with Health Issues, Holistic. July 1, 2012 by Kennedy Morgan - Spot Magazine.